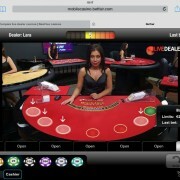 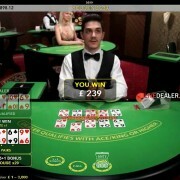 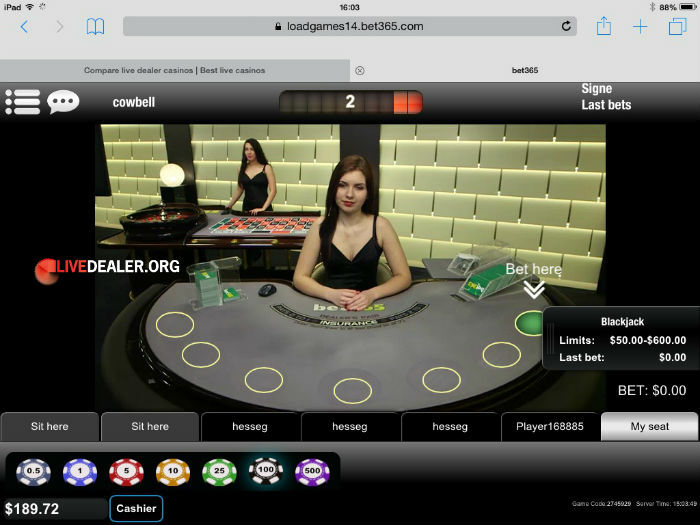 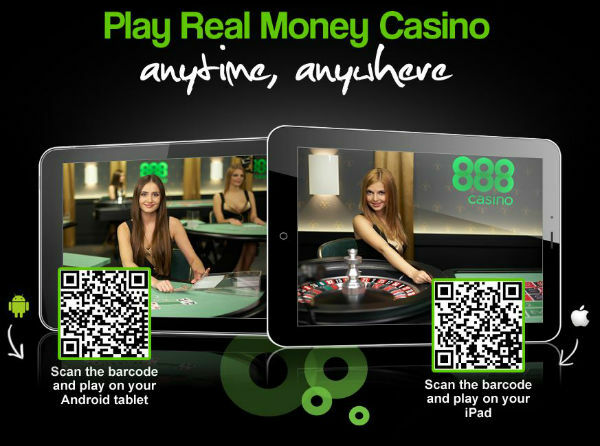 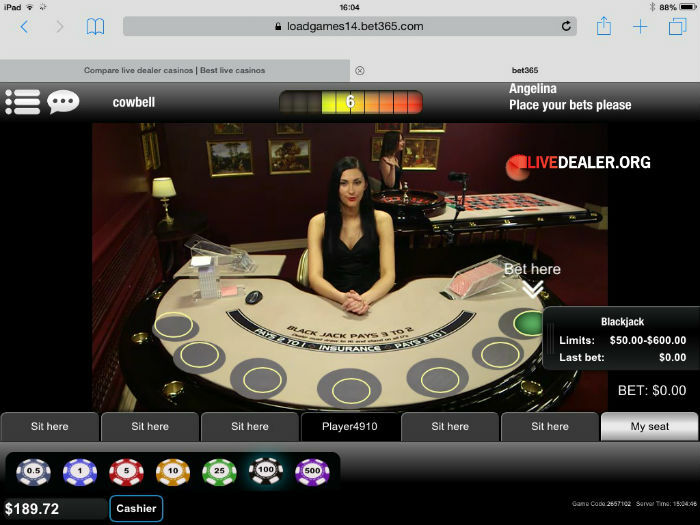 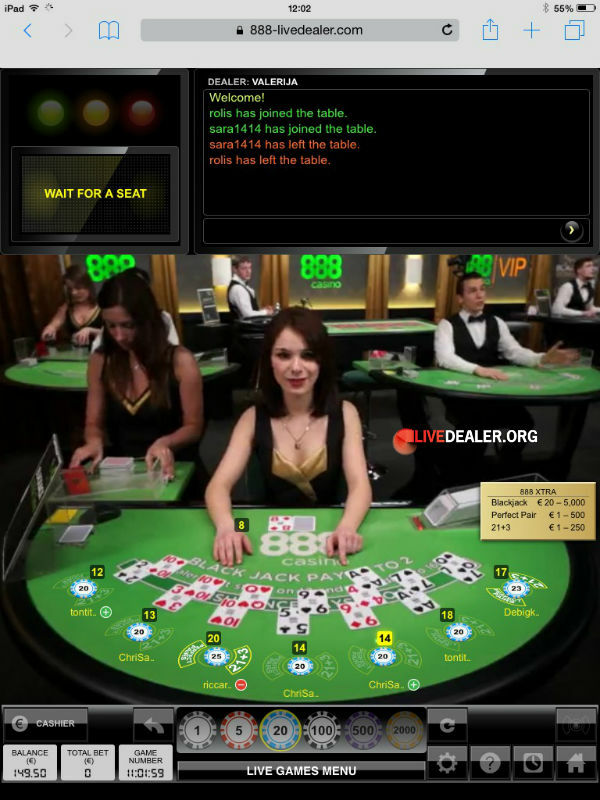 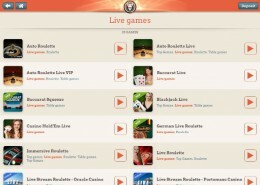 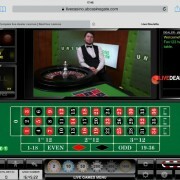 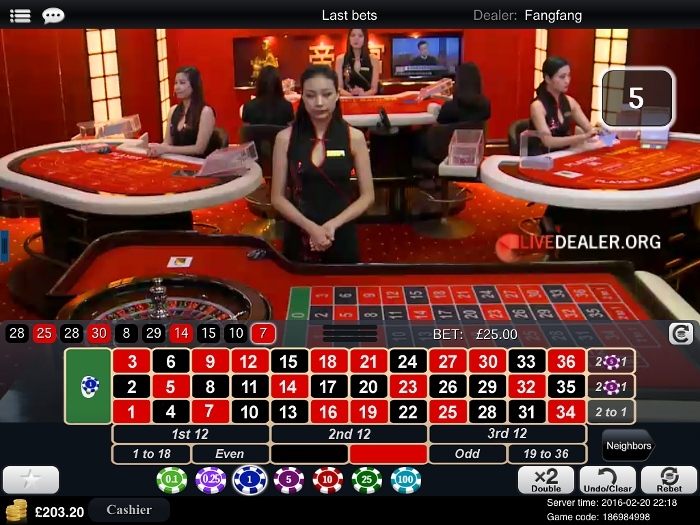 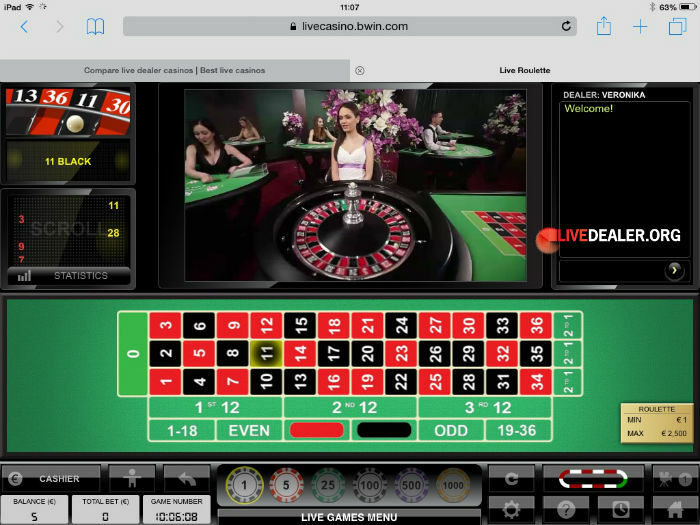 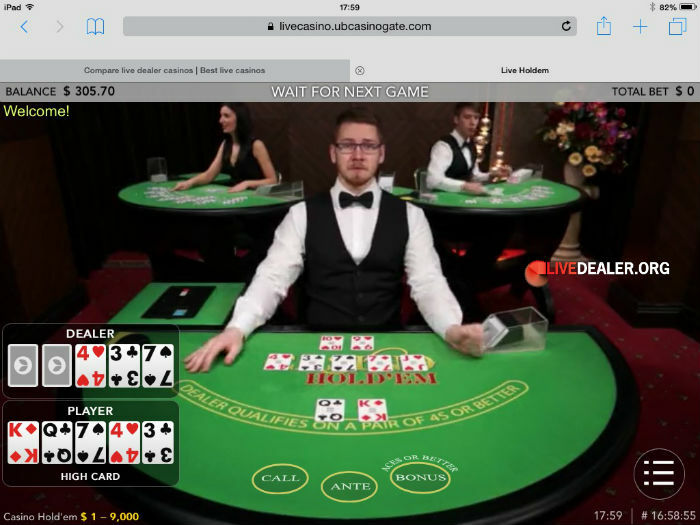 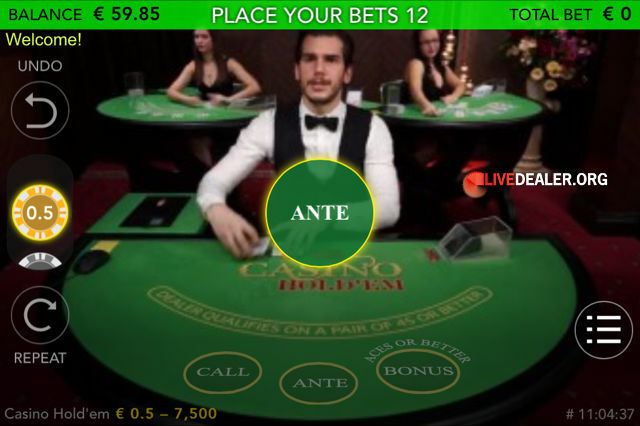 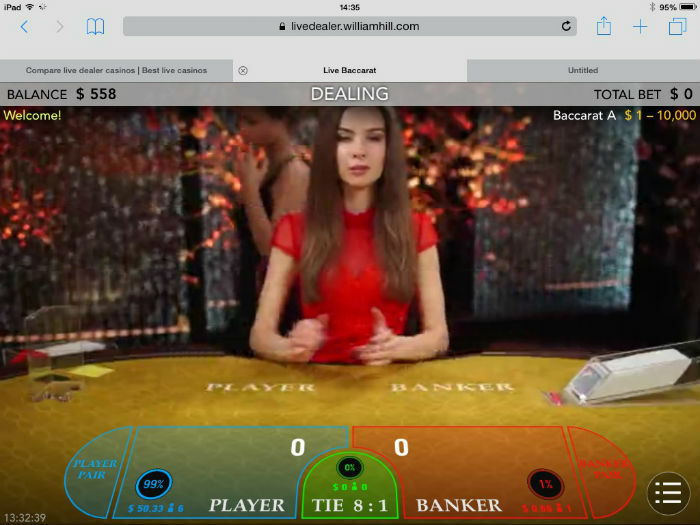 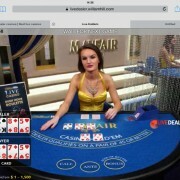 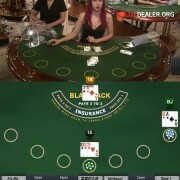 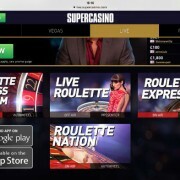 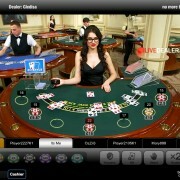 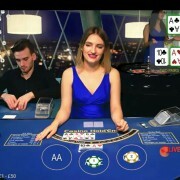 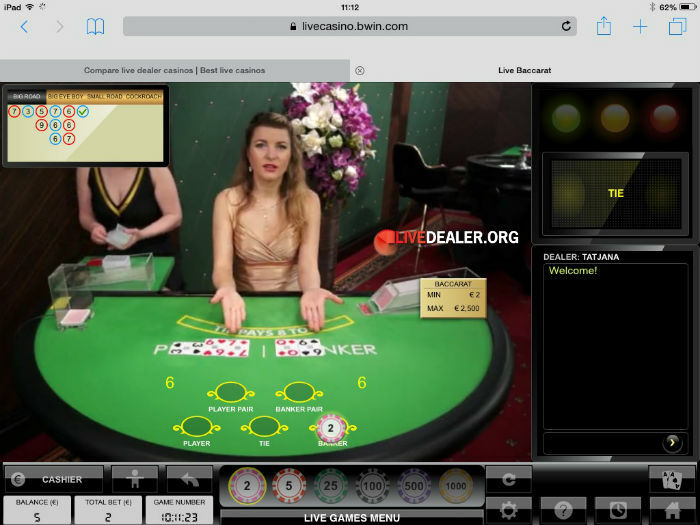 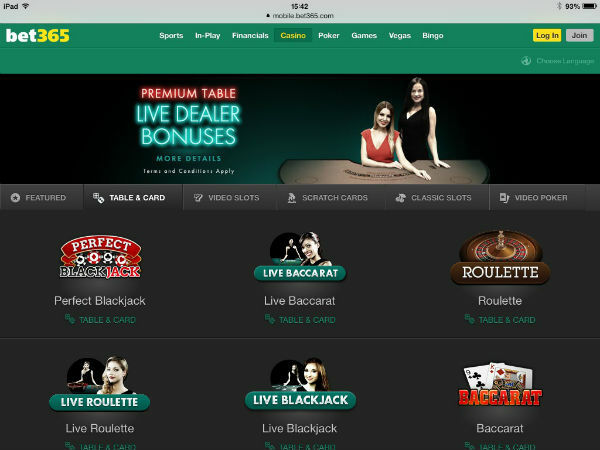 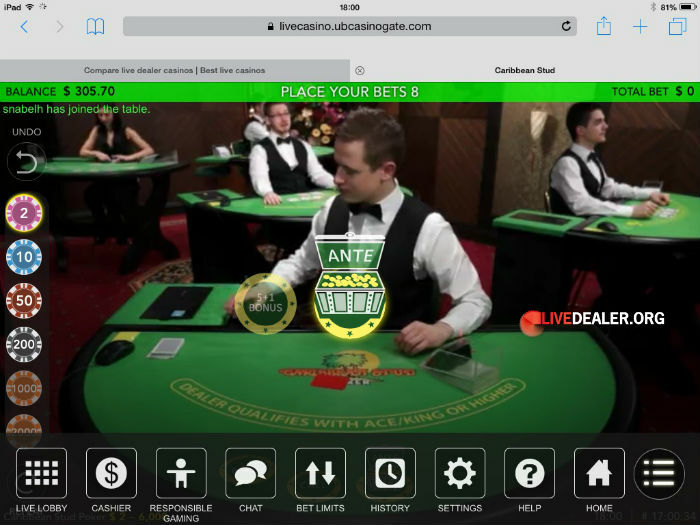 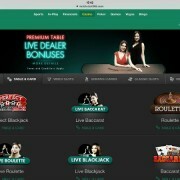 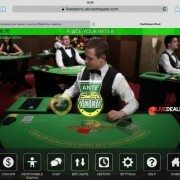 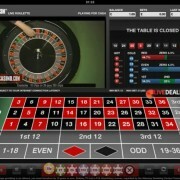 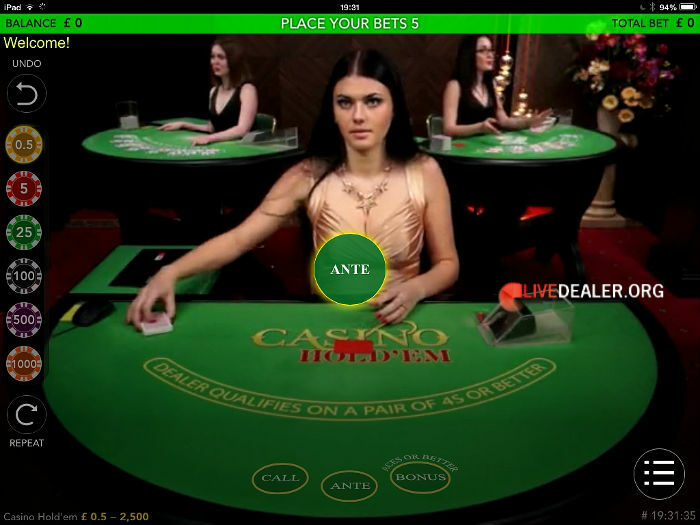 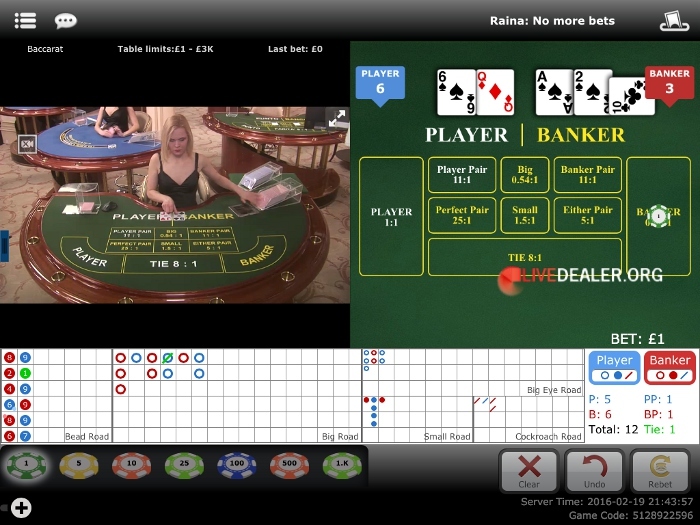 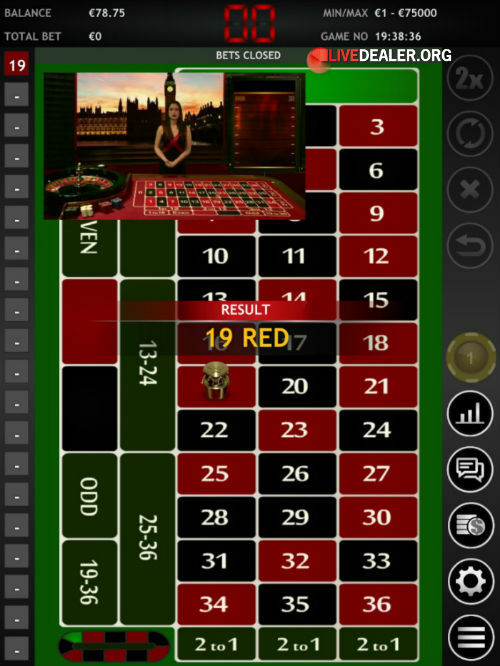 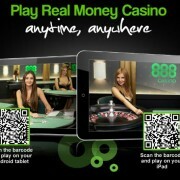 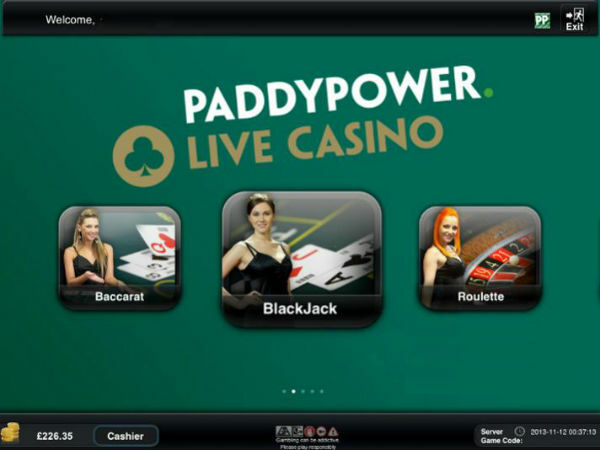 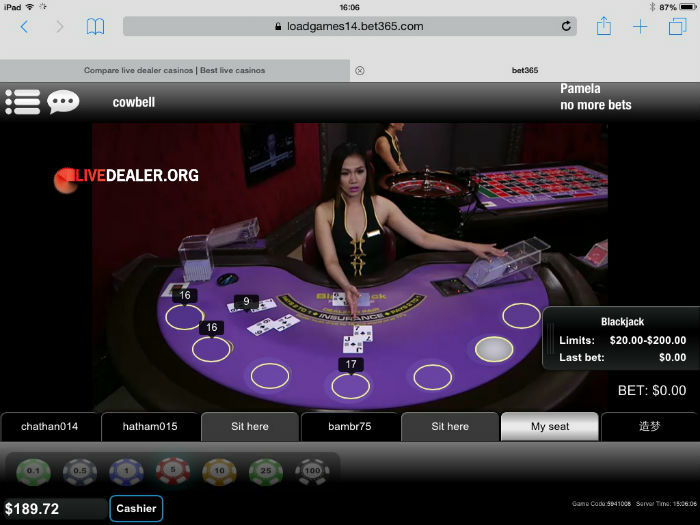 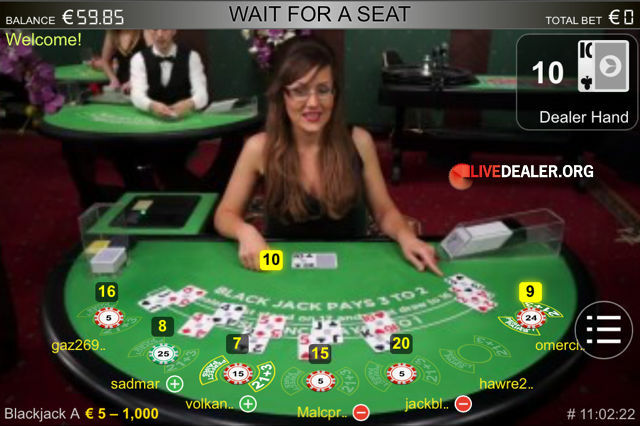 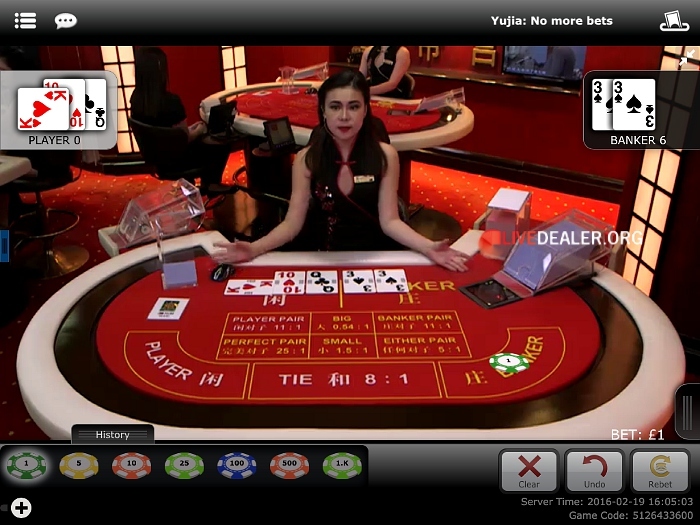 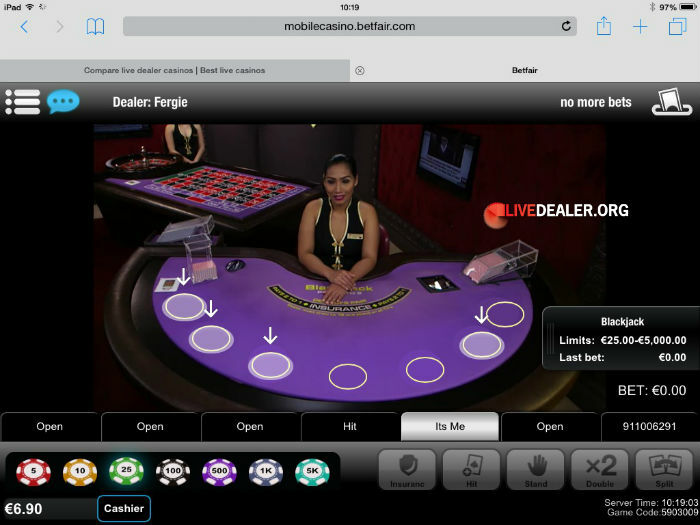 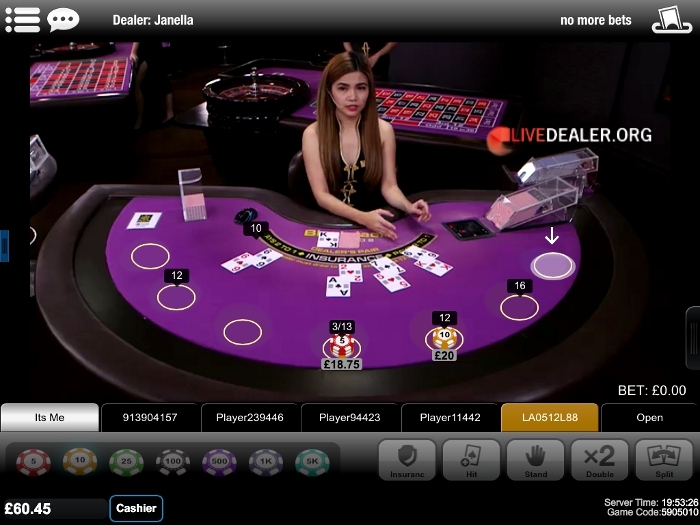 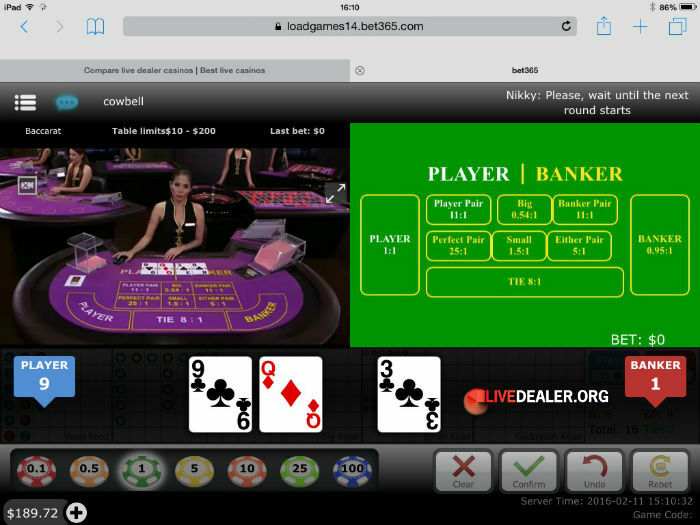 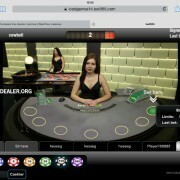 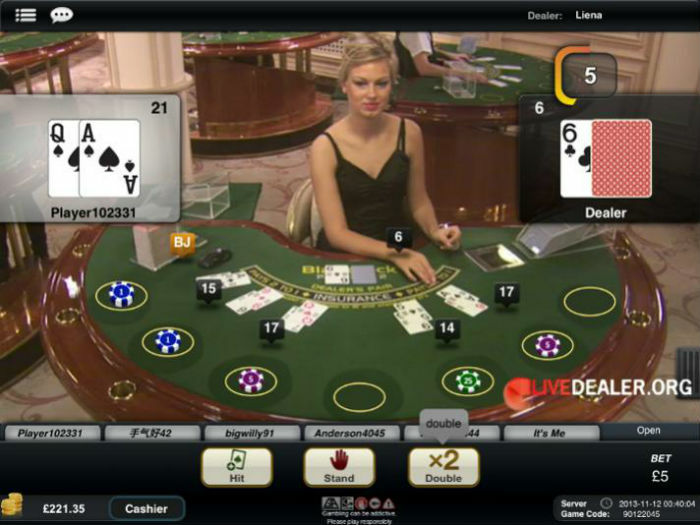 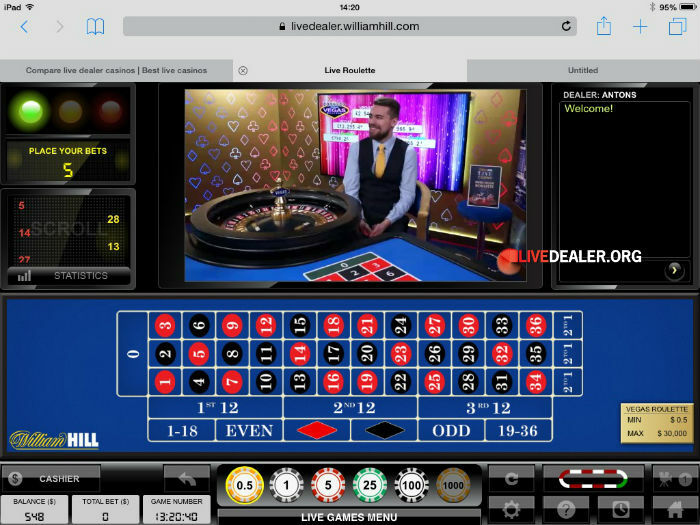 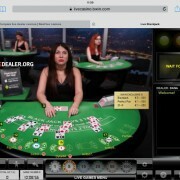 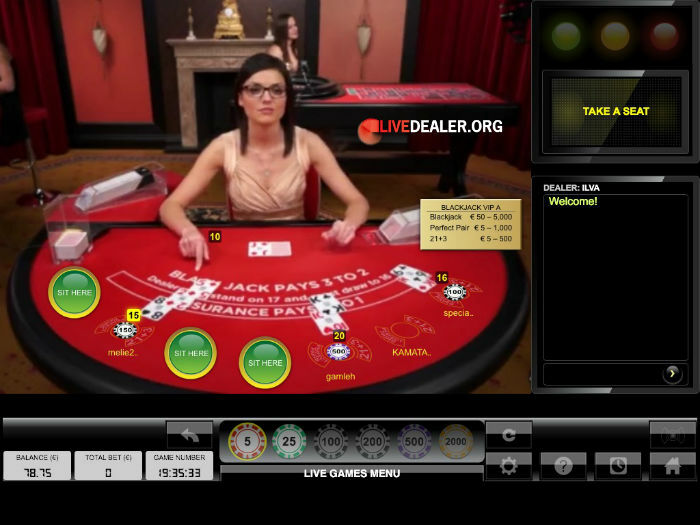 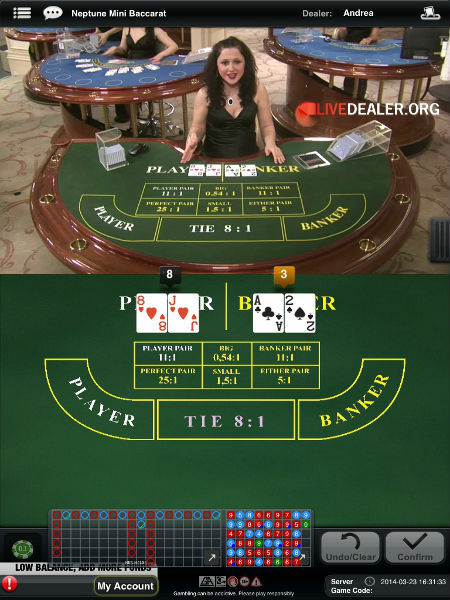 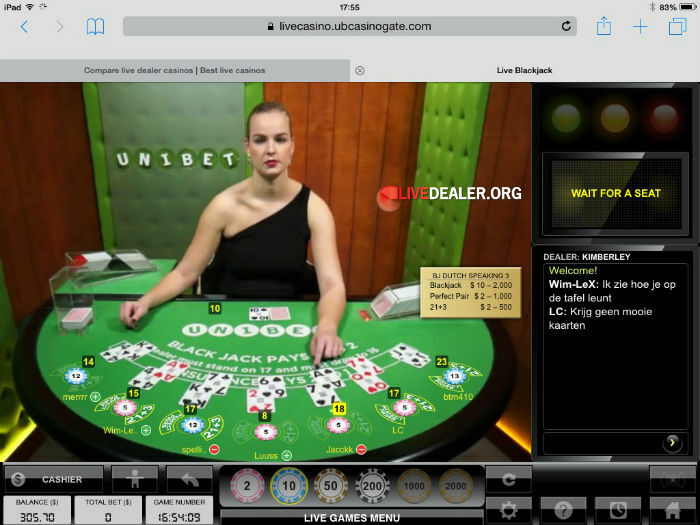 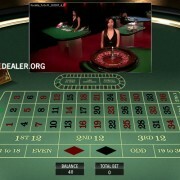 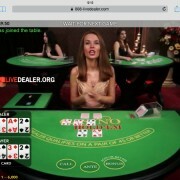 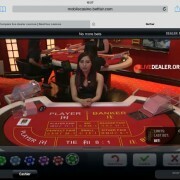 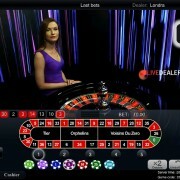 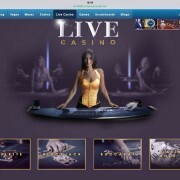 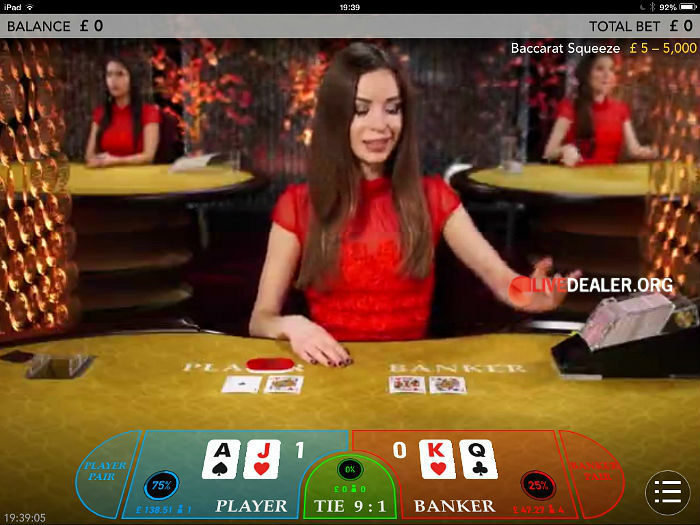 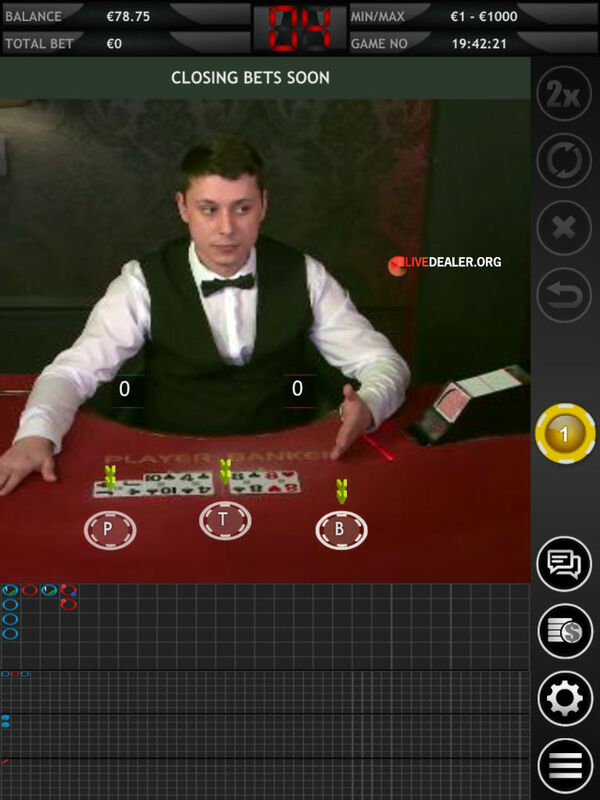 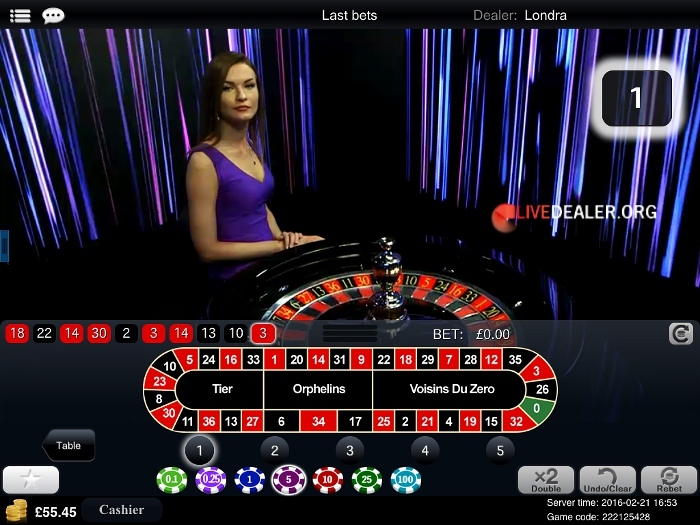 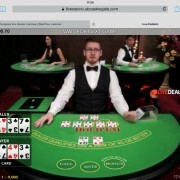 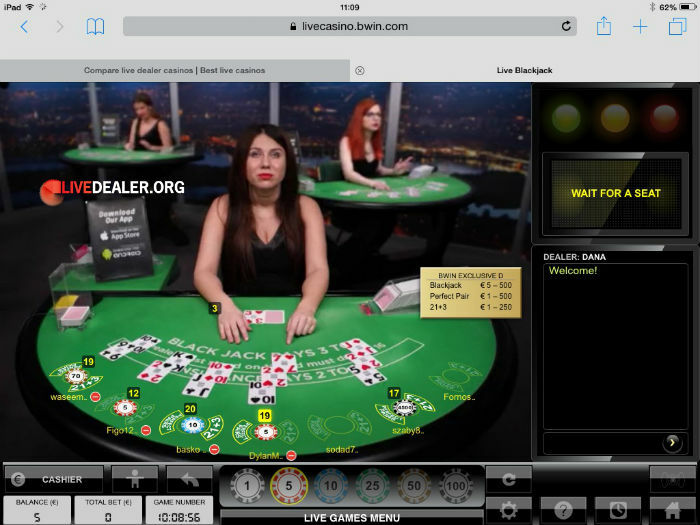 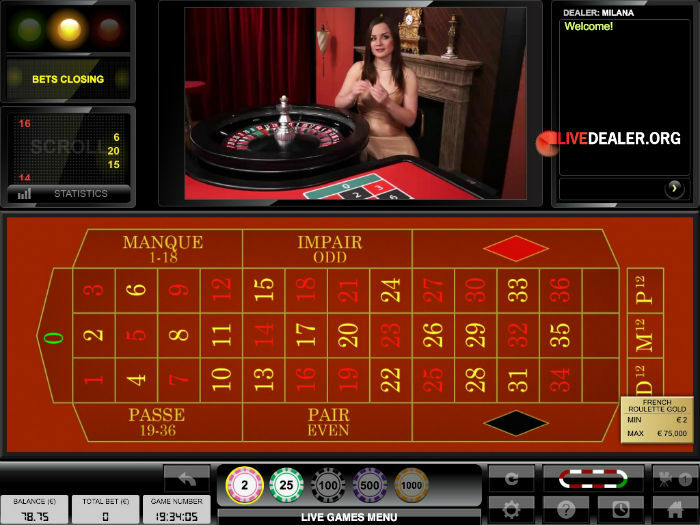 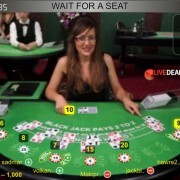 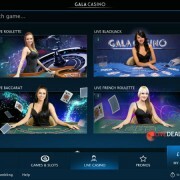 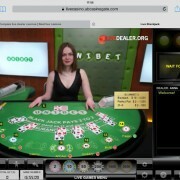 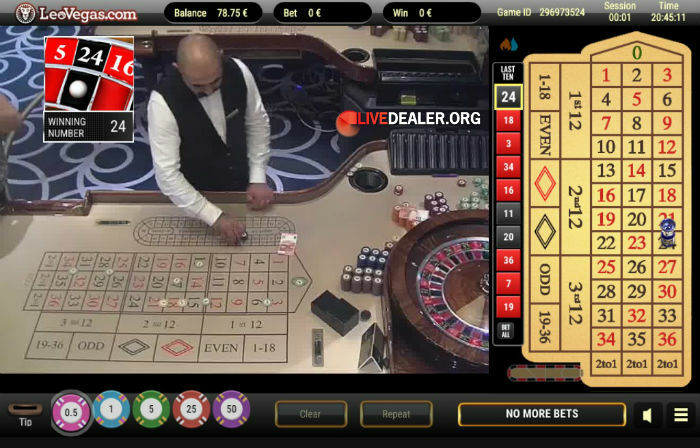 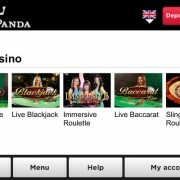 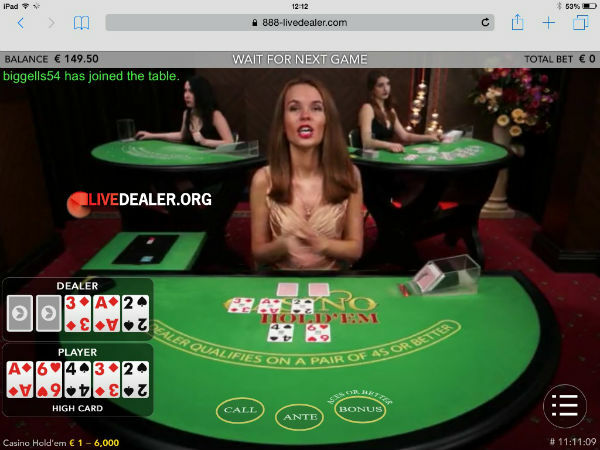 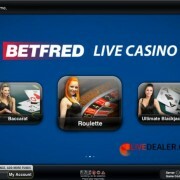 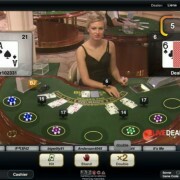 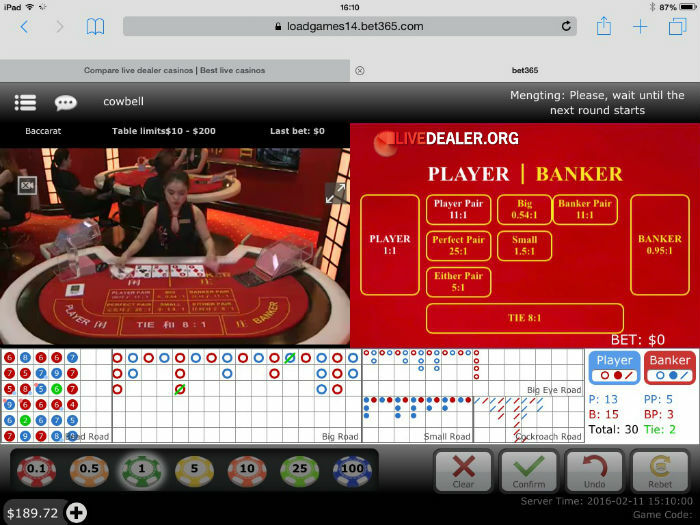 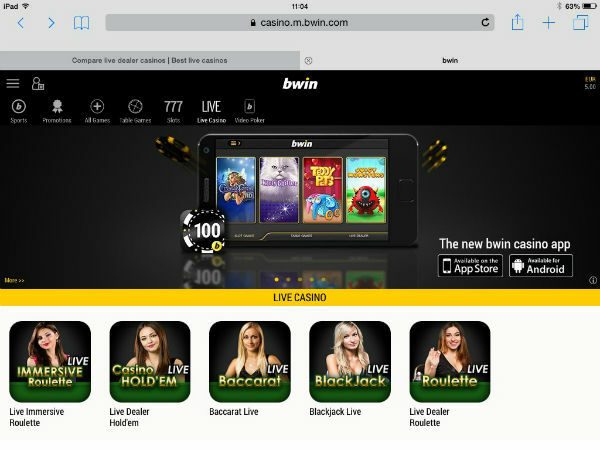 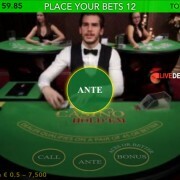 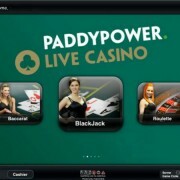 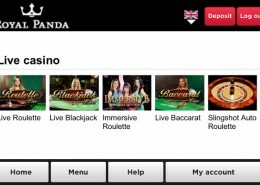 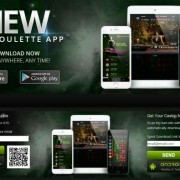 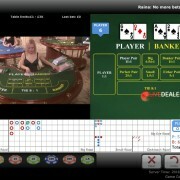 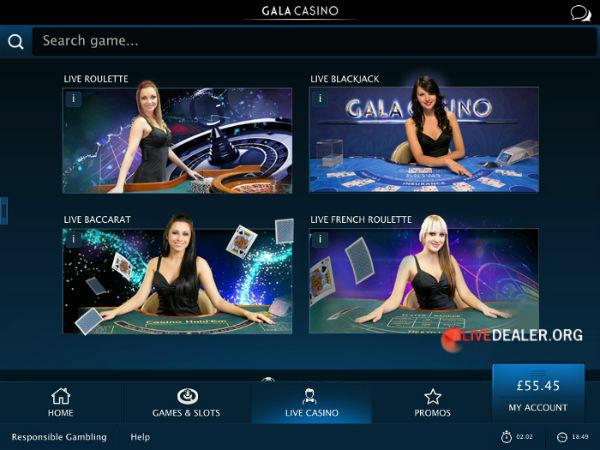 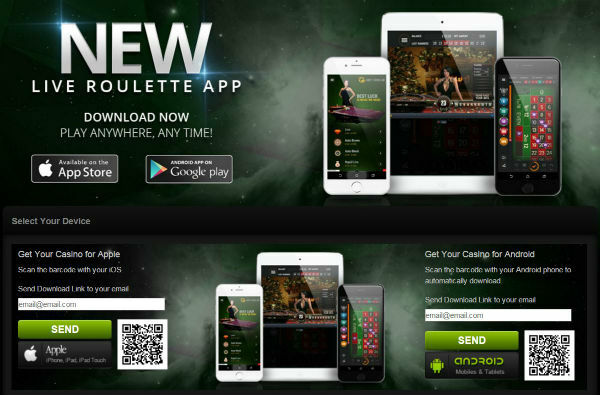 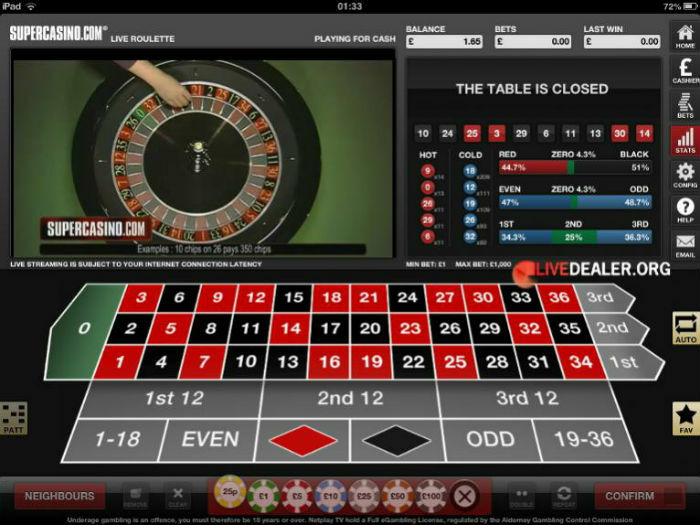 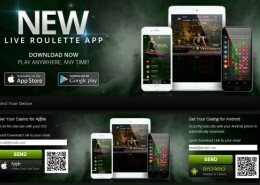 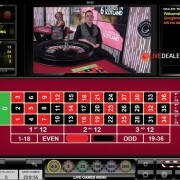 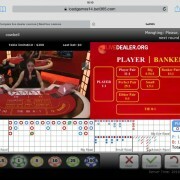 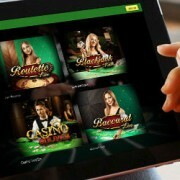 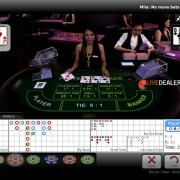 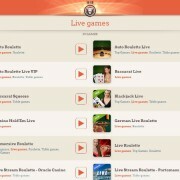 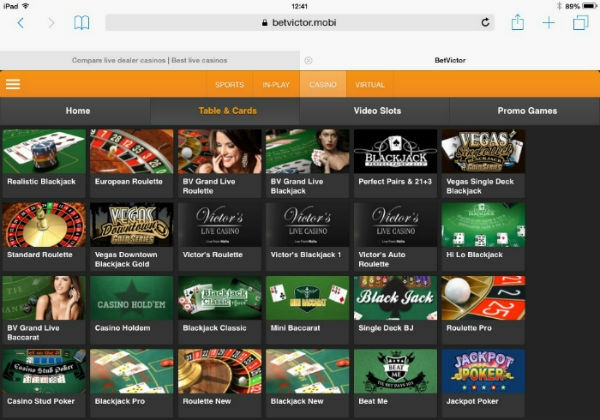 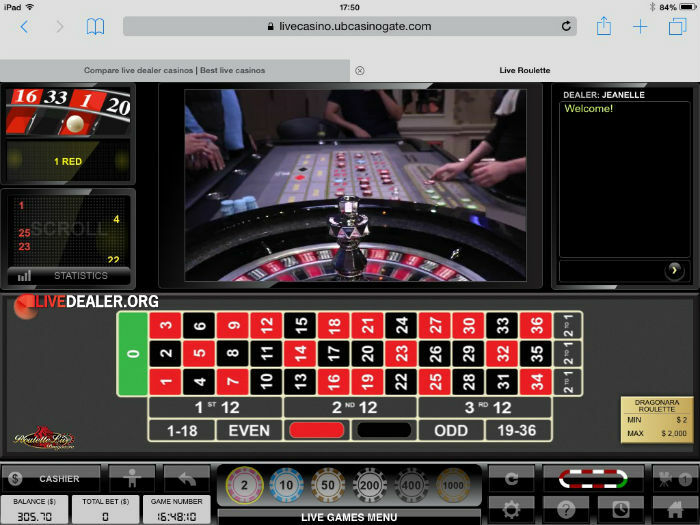 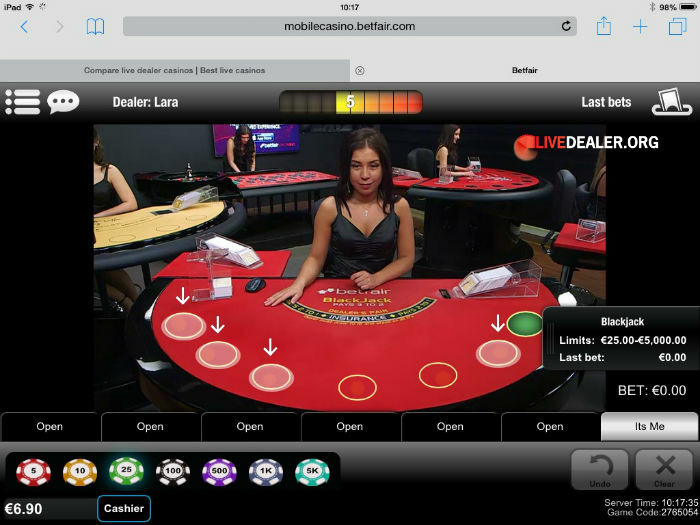 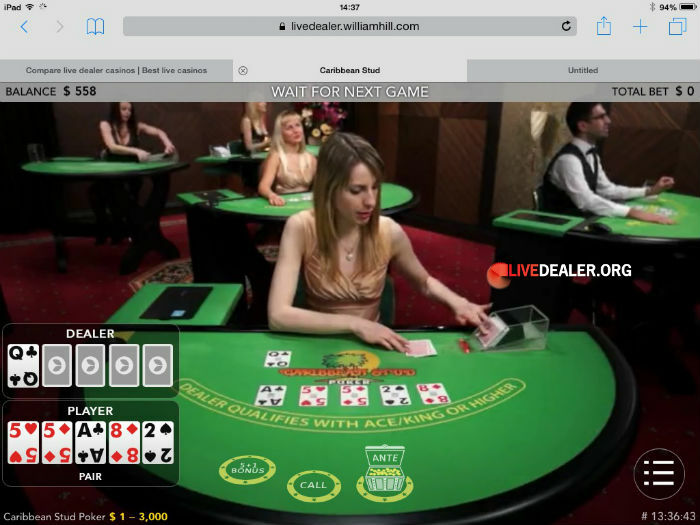 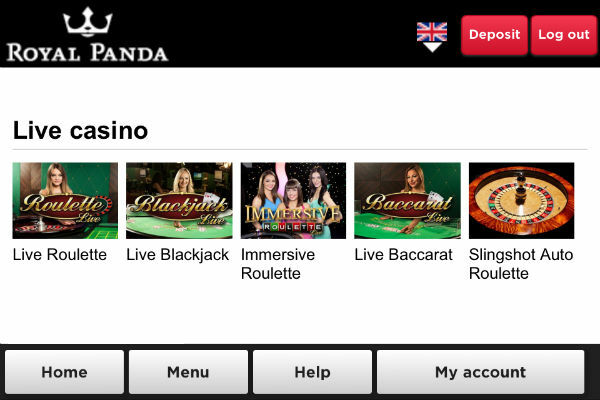 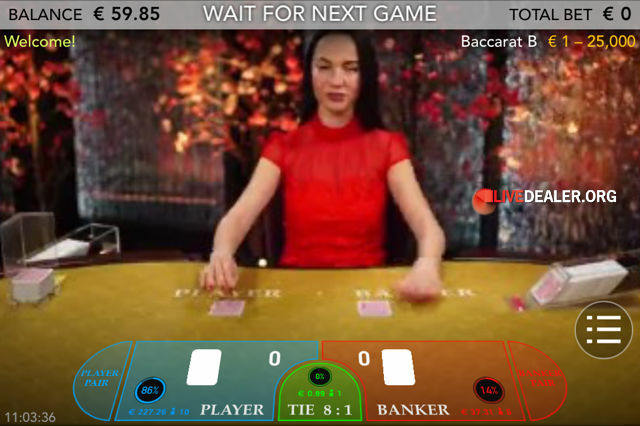 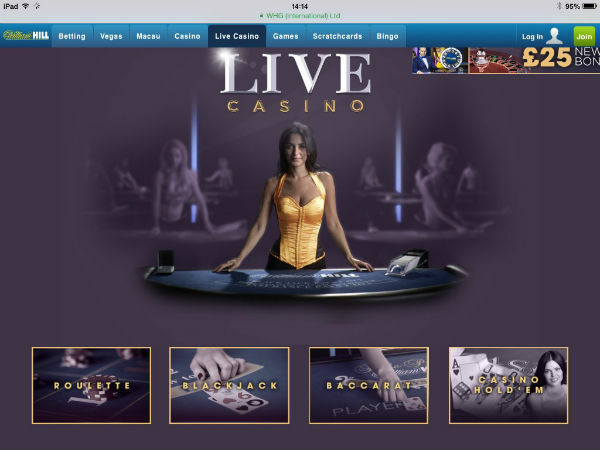 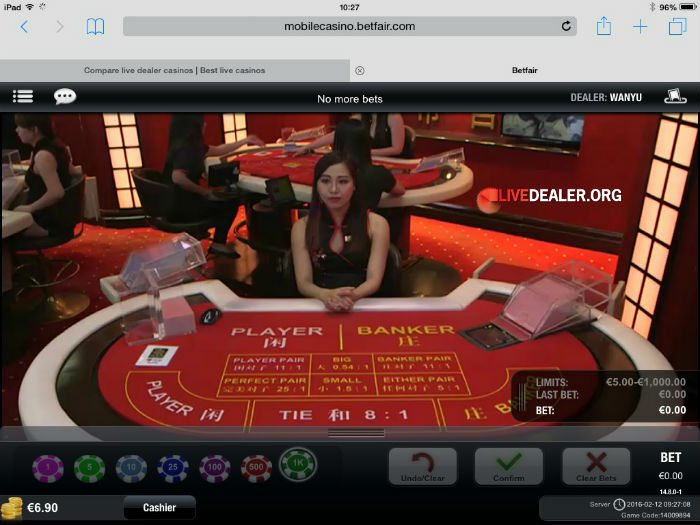 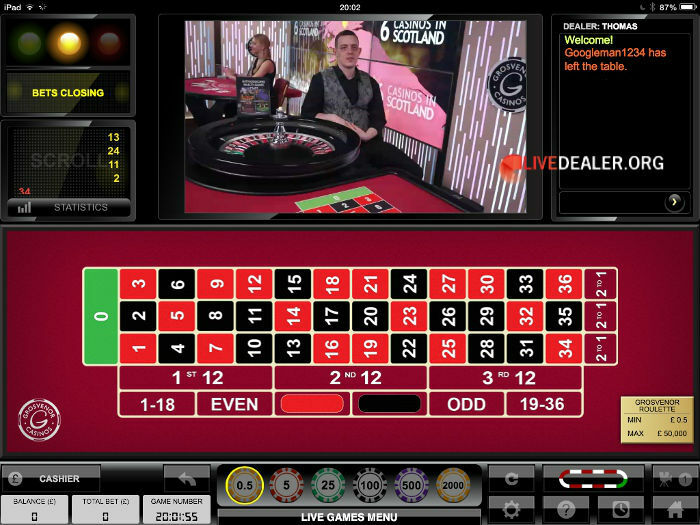 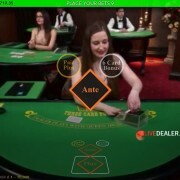 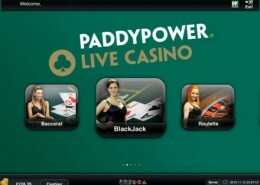 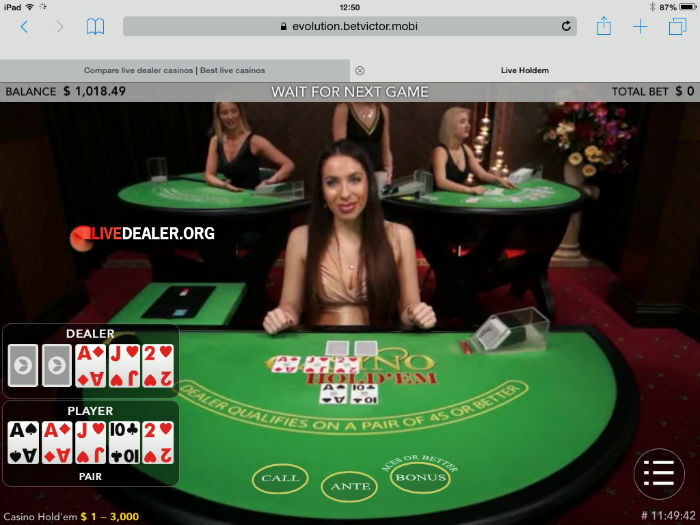 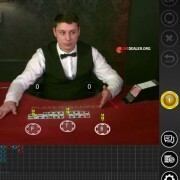 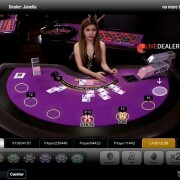 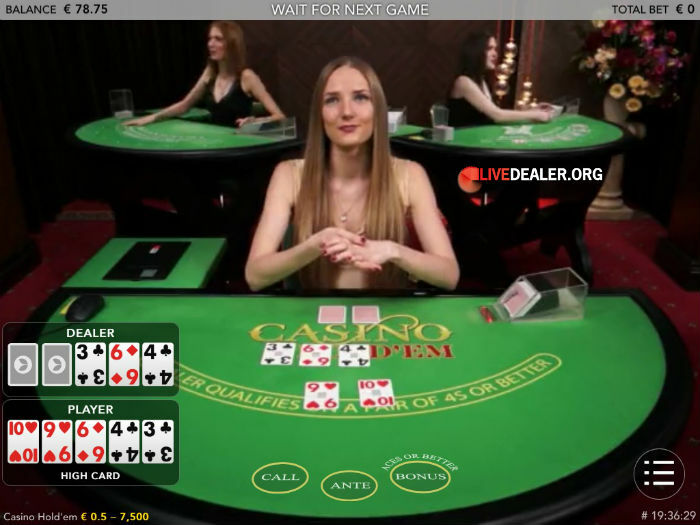 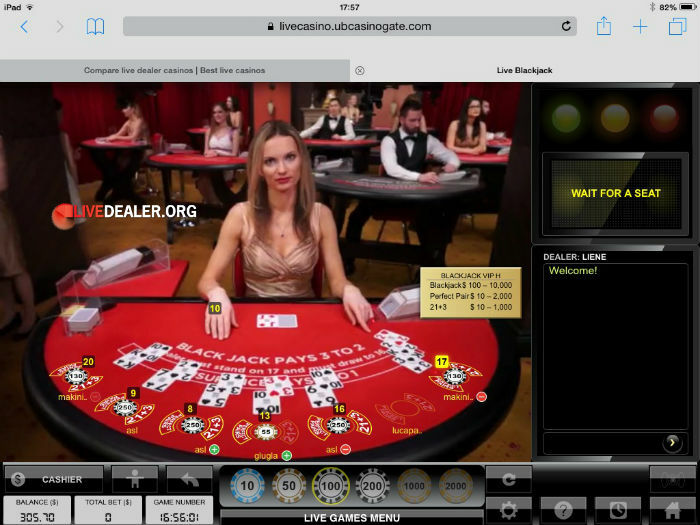 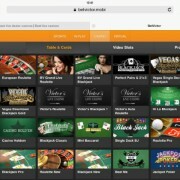 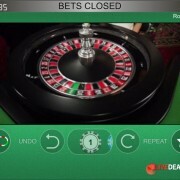 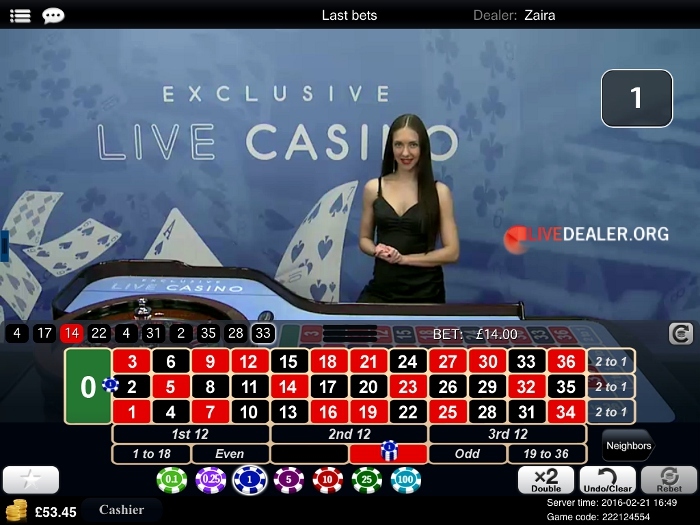 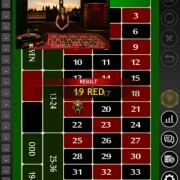 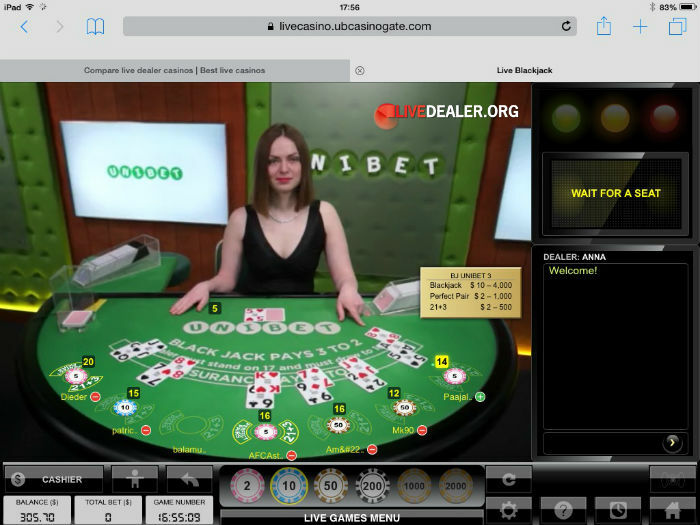 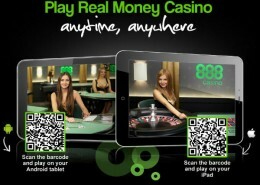 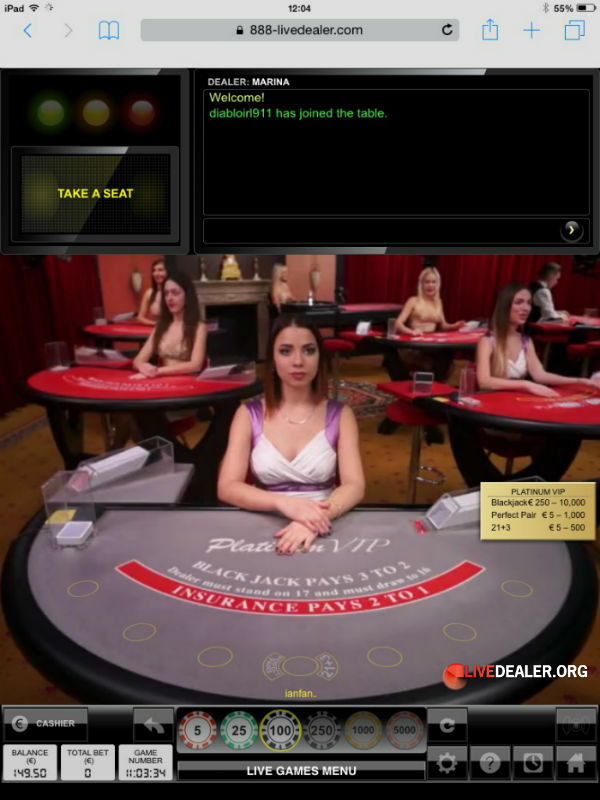 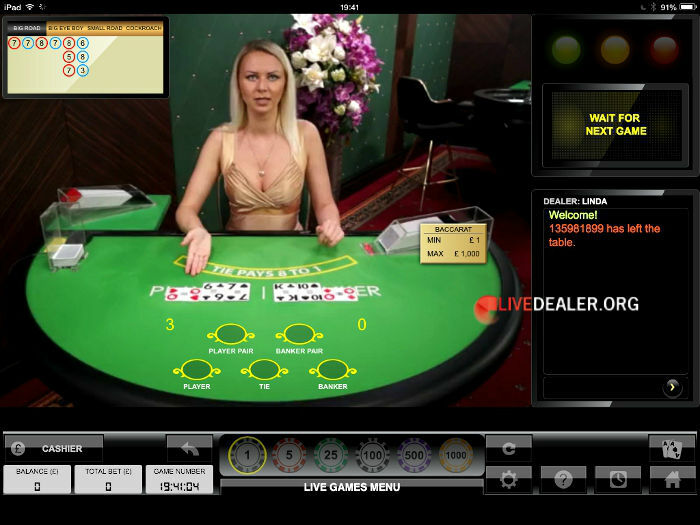 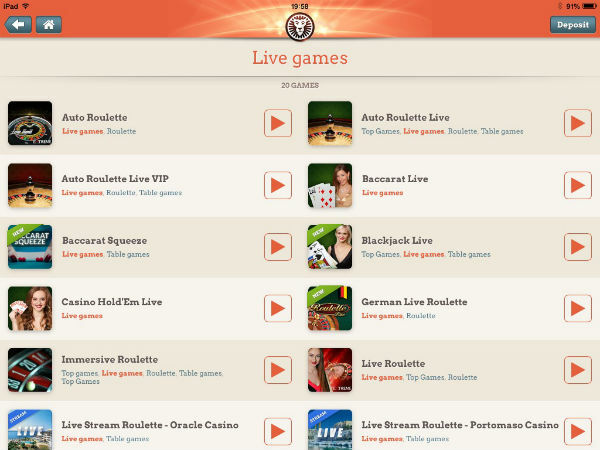 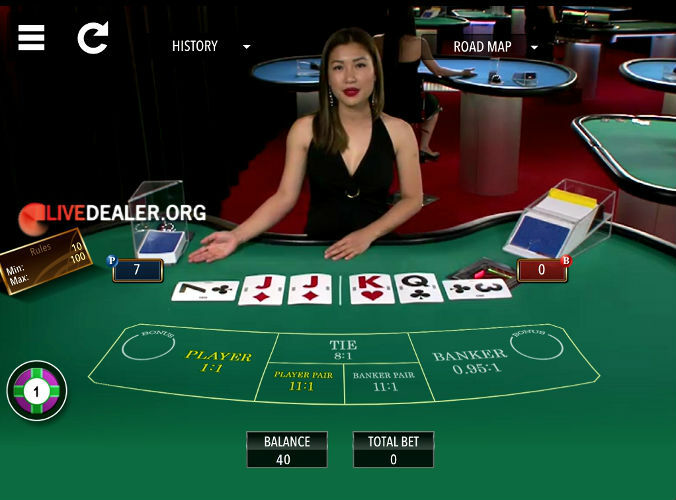 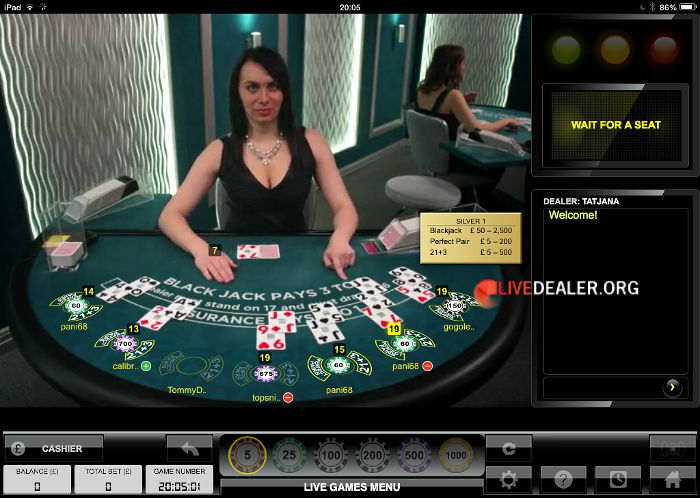 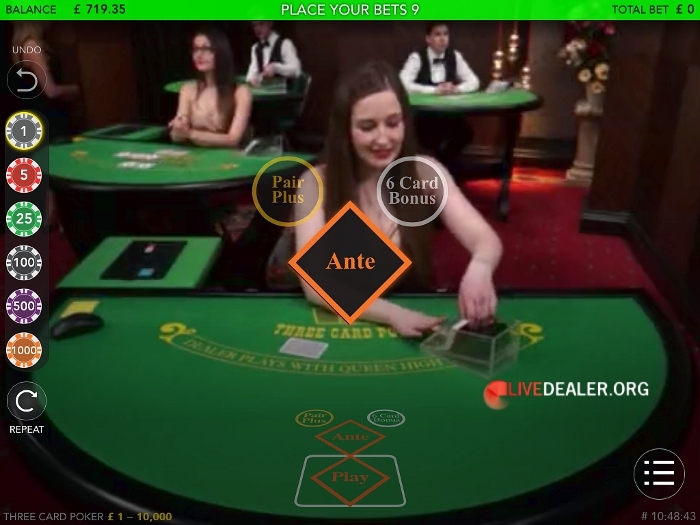 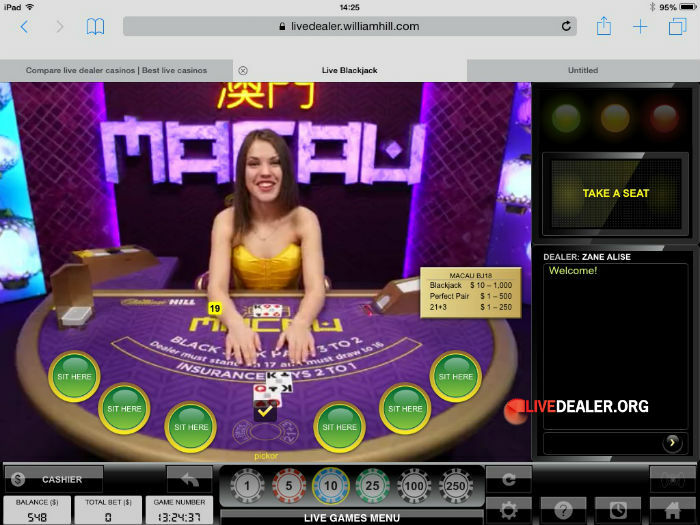 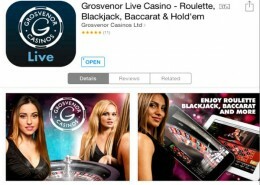 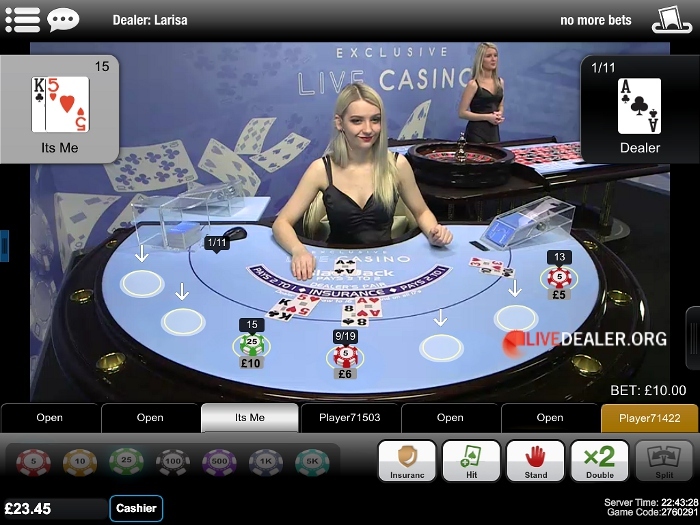 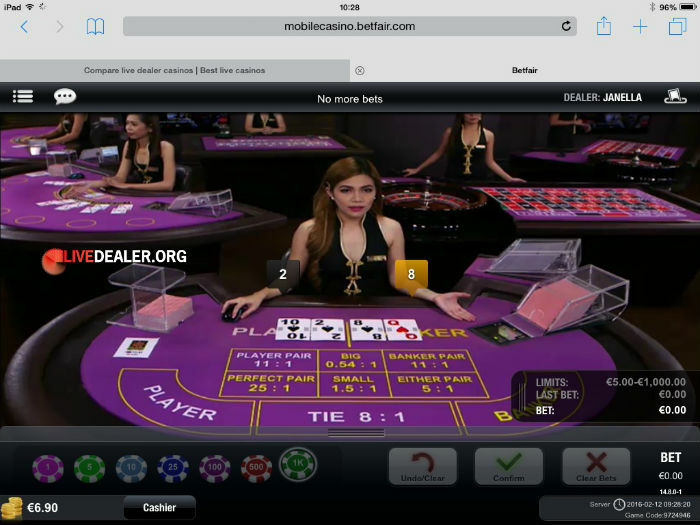 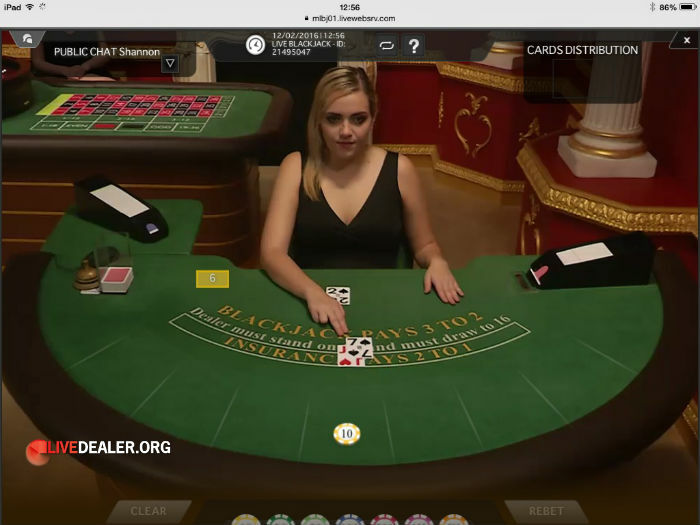 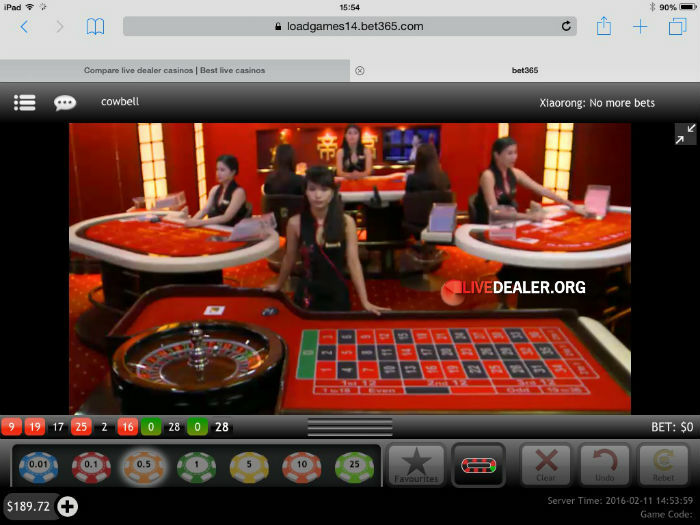 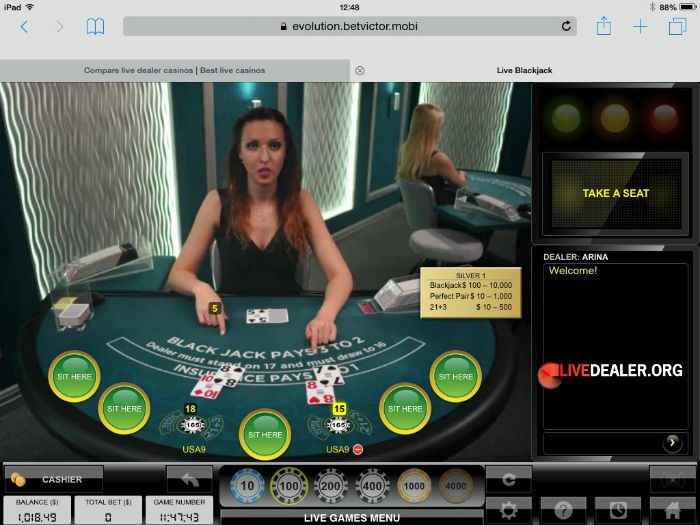 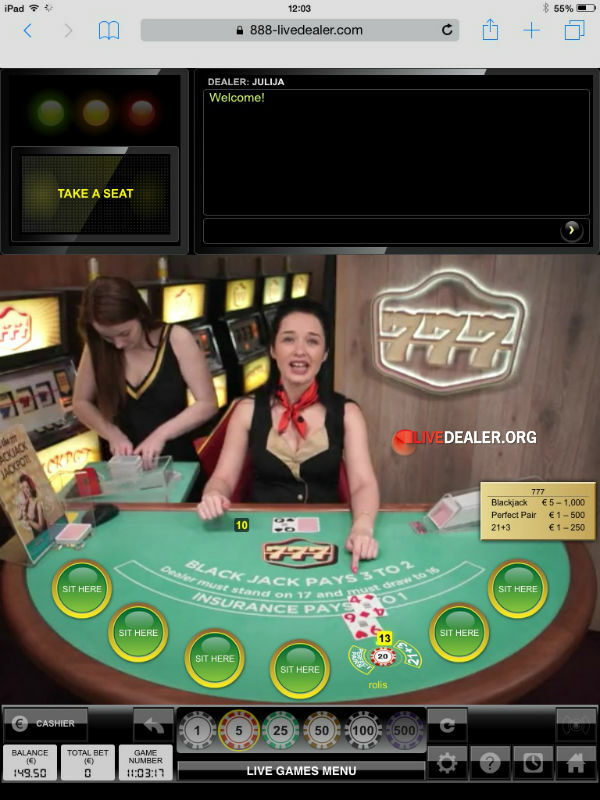 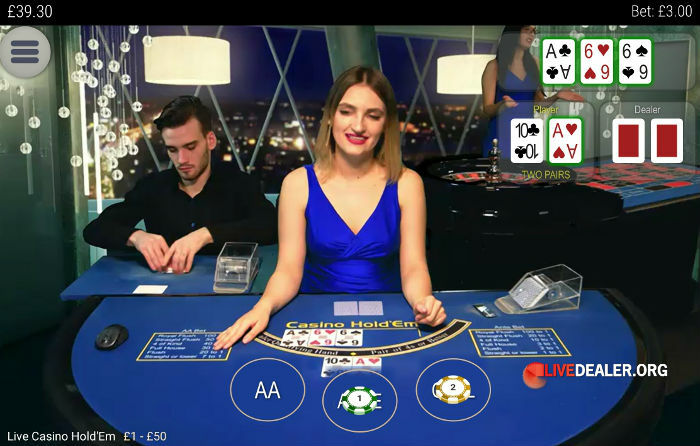 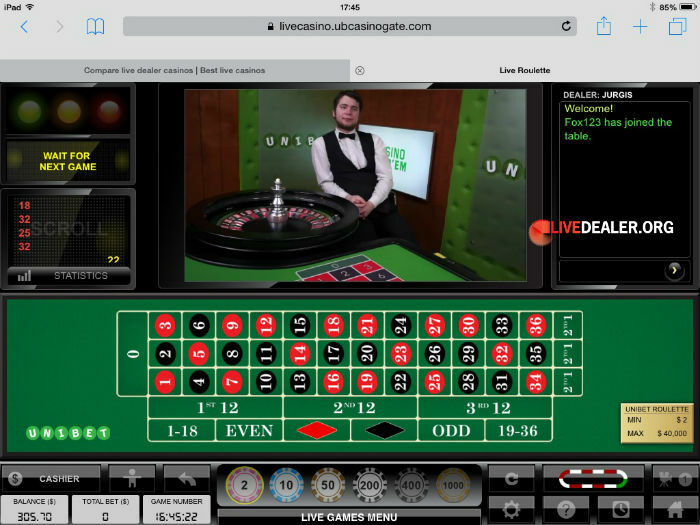 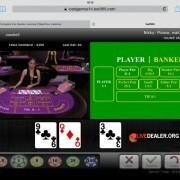 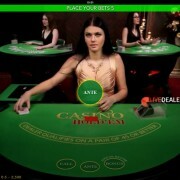 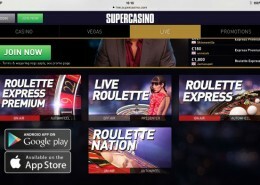 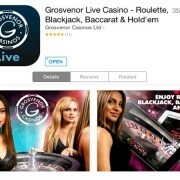 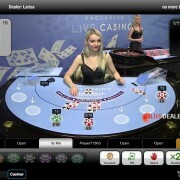 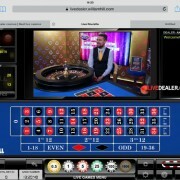 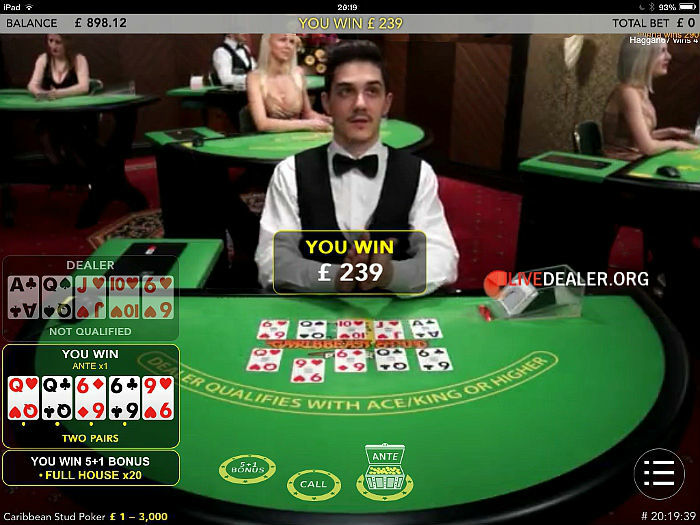 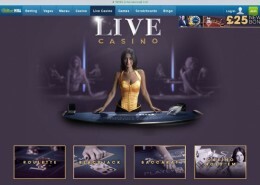 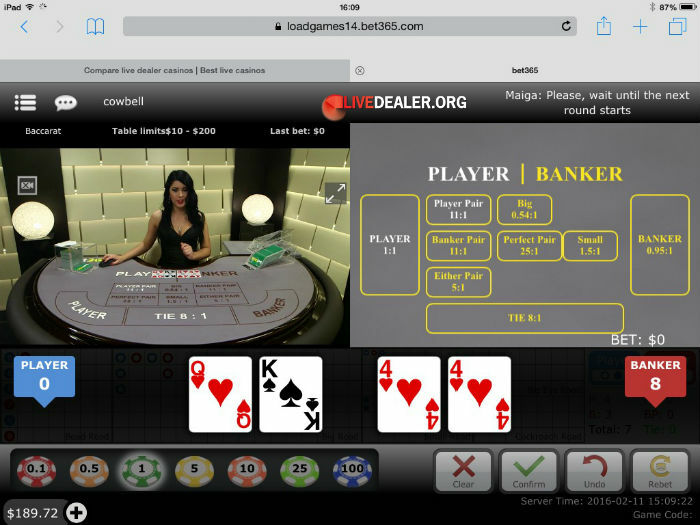 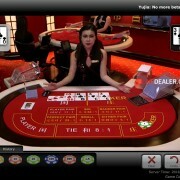 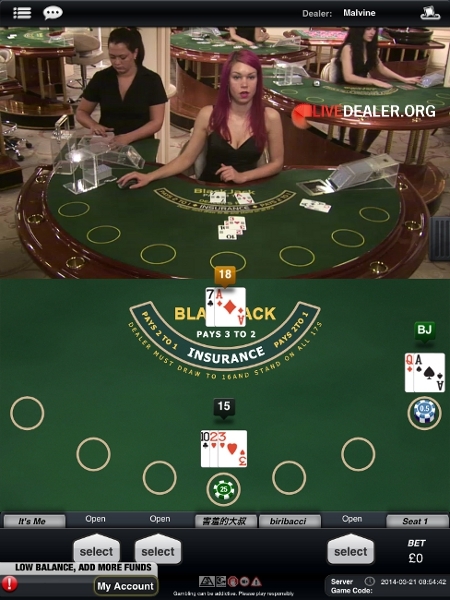 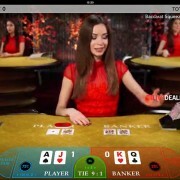 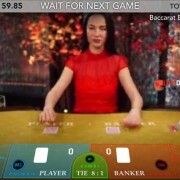 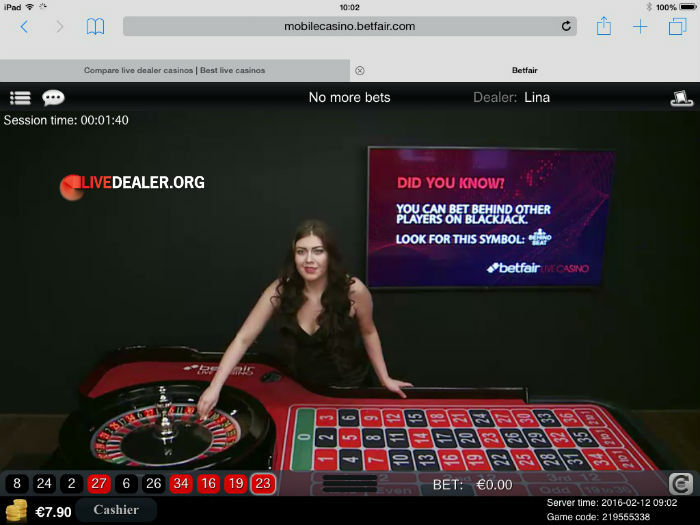 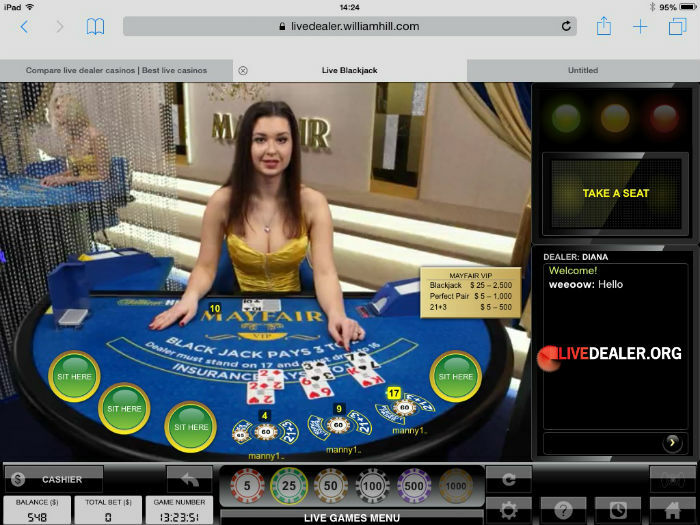 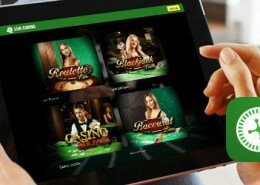 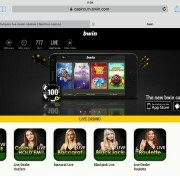 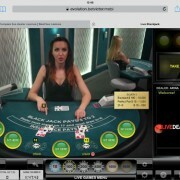 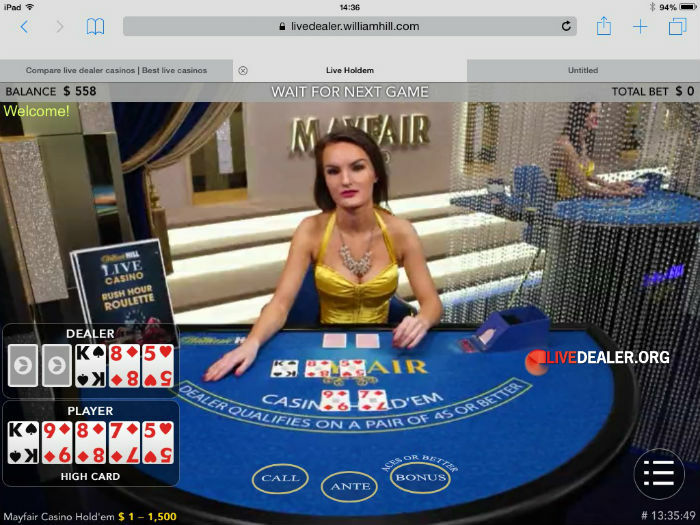 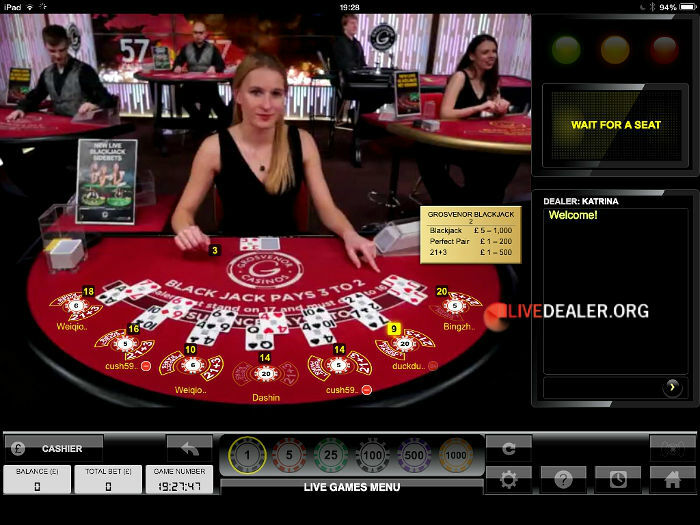 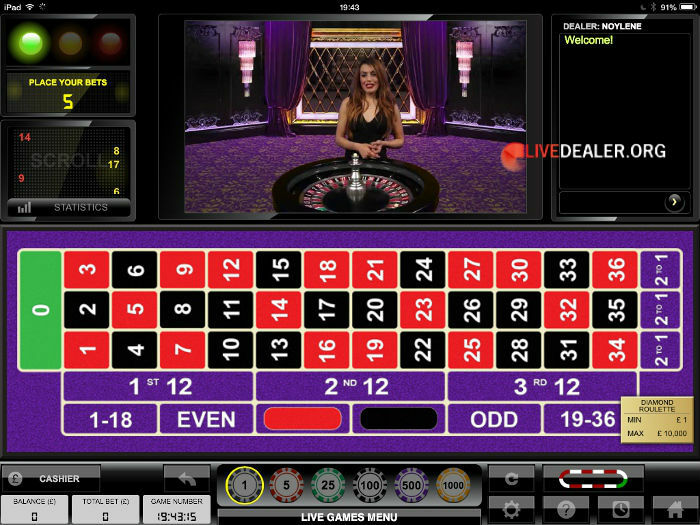 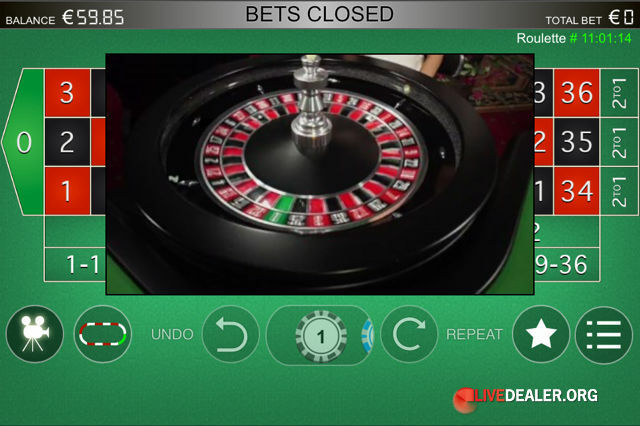 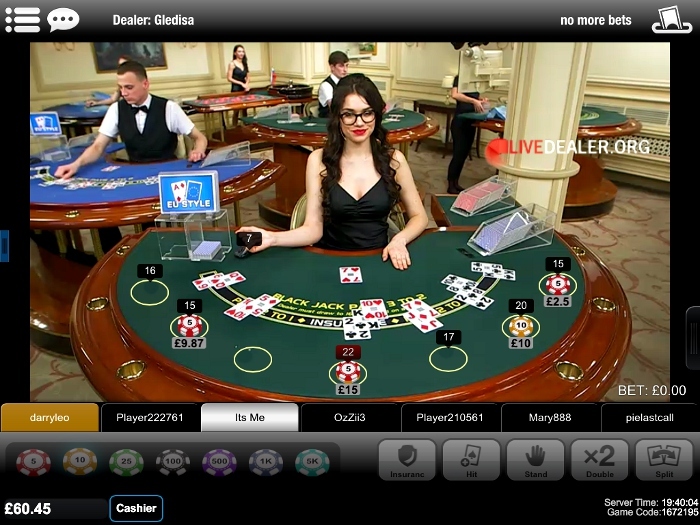 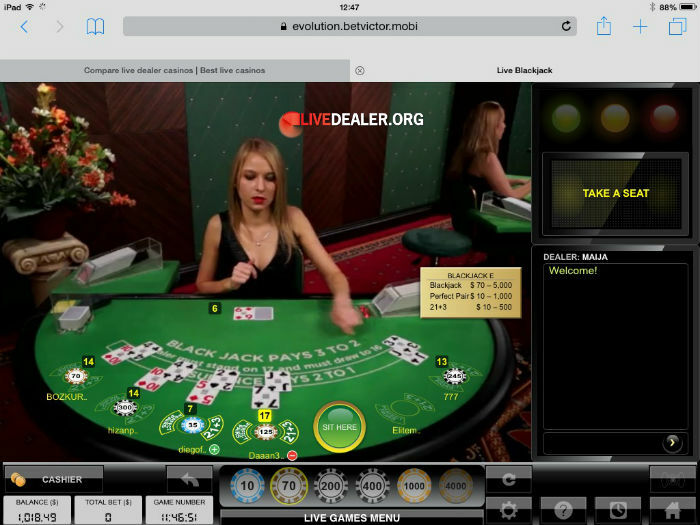 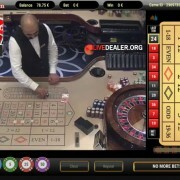 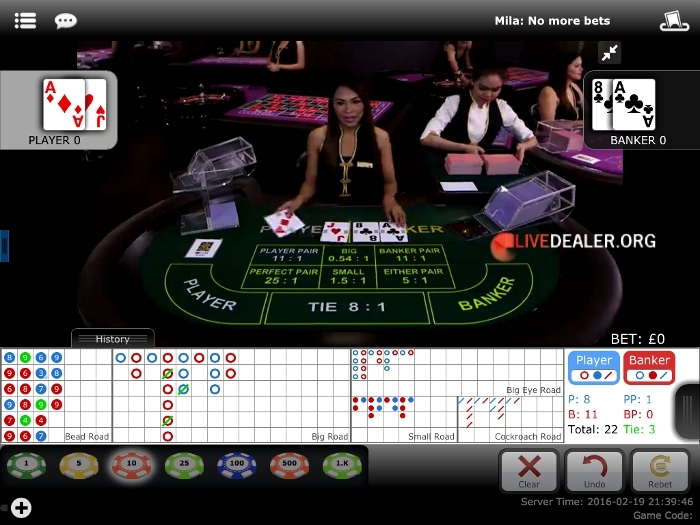 You can play live dealer games on your iPad, iPhone or Android device at a growing number of casinos. 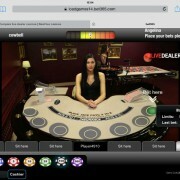 Game/table range available for play on mobile devices has been growing fast over the last couple of years. 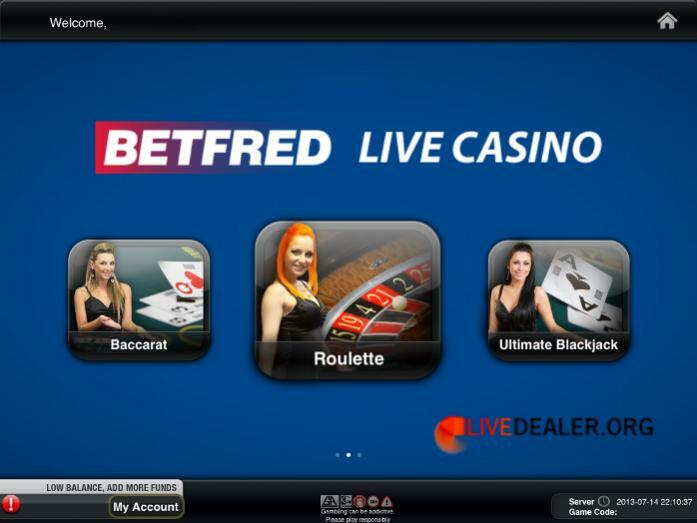 Where you can play, which games you can play and compatible devices are set out below. 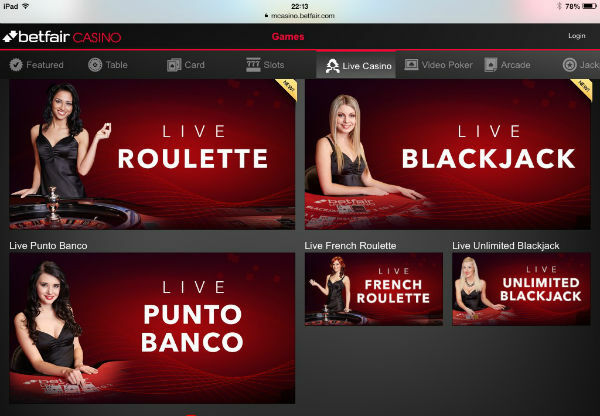 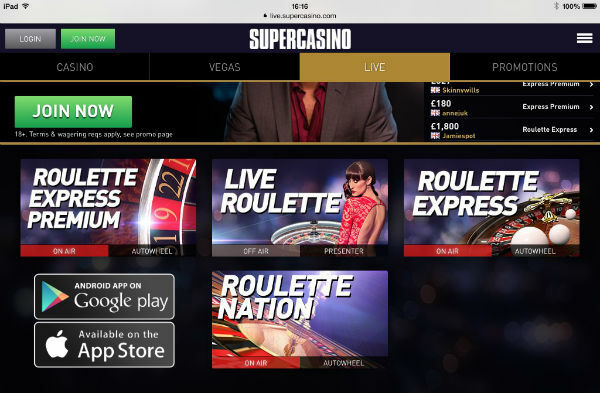 Even if you can’t access the casinos’ App, you will be able to play the games (with some minor differences like game range etc ) via their mobile website. 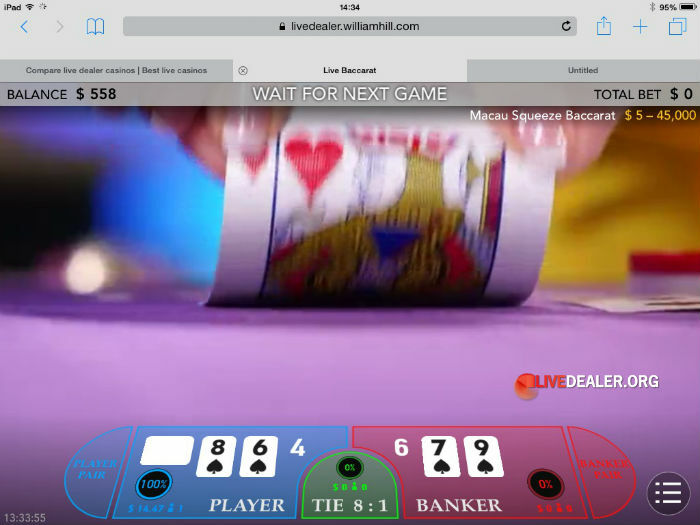 It has to be said, in most cases, live game delivery via mobile is inferior to delivery via PC (video quality, video continuity, ease of navigating from table to table etc). 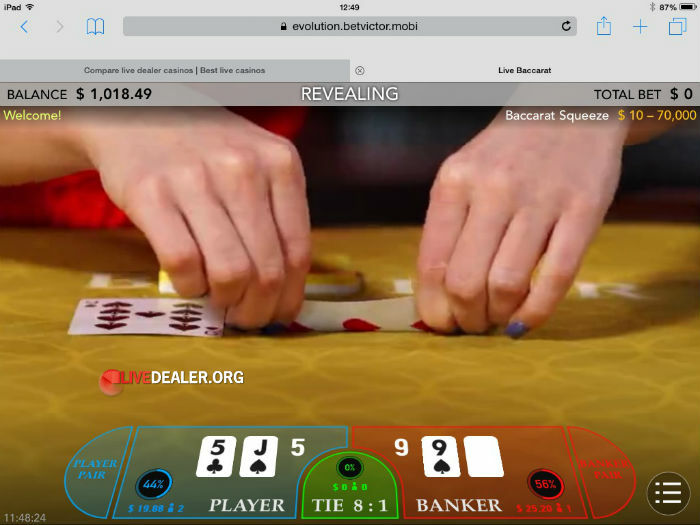 Some providers are are bridging this gap faster than others. Evolution Gaming’s mobile games (William Hill, 888, Unibet, Bwin, Betvictor, LeoVegas, Grosvenor) are leading the way. 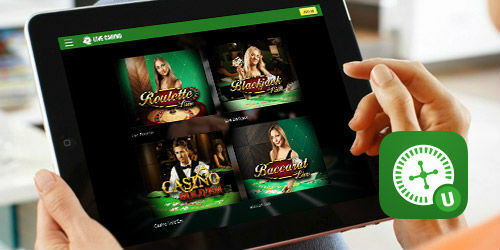 Playtech (bet365, Betfair, Paddy Power, BetFred) have improved considerably from their early mobile efforts but are still have some work to do. 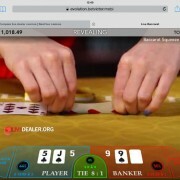 The other providers have even more work to do. 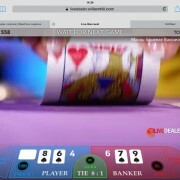 While play on iPhones and Android phones is possible, you may well find the UI annoyingly small. 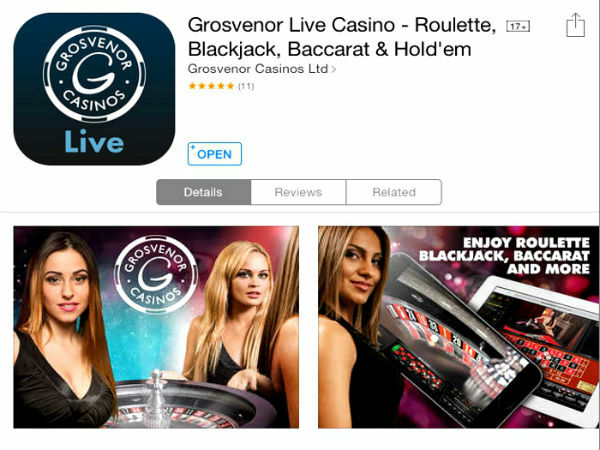 Anyway…if you really must play on the go, these are your best bets.